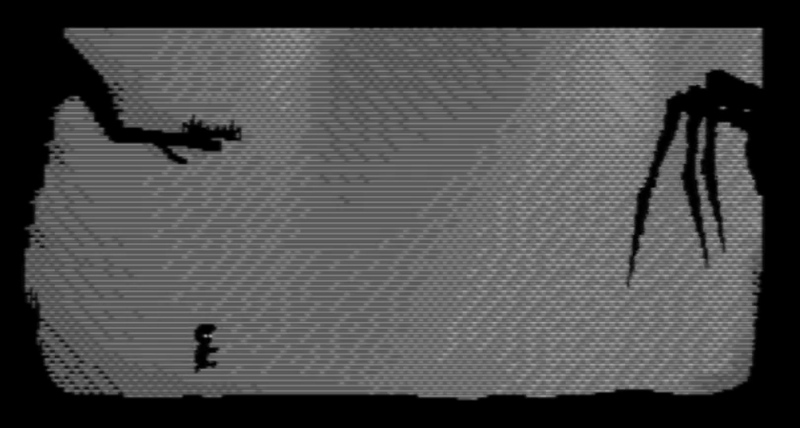 We haven't featured this work in progress C64 game lately, but you'll be pleased to know the modern indie game ' Limbo ' as a C64 game, has been teased again but this time with the deadly spider showing itself at the side of a tree. What was originally a proof of concept by the creator Søren Trautner Madsen and backing of Playdead, looks to be going the full hog into a long term project, with the dark backgrounds and horror overtone kept intact. Already we can see the game has come along way from its first showing some time ago, as now the character can not only be seen running through the woodlands, sliding, jumping and even climbing a rope in a previous video, but now even the spiders legs are moving, ready to make that deadly stab!